Friday, April 12, 2019 - Maybe it was his first time going through such security checks but it is still hilarious. 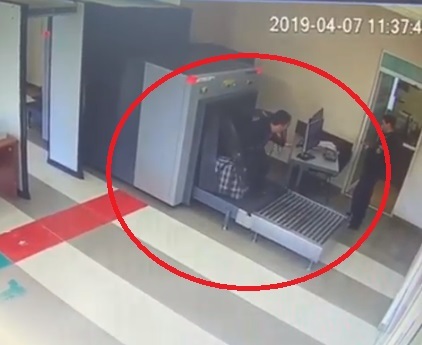 The poor guy was told to put his luggage through the security scanner at the airport and decided to ‘scan’ himself too. While this is funny, it was the duty of the security personnel to guide him otherwise he couldn’t have done what he did. He even exposed himself to the harmful x-rays.